Vodafone quietly launched a series of V entitled services recently and its really worth a look for the casual technologist and maybe other people as well. When you see a short-list of cars (not the default list of all vehicles ever) you assume this short list is supported, not so lol! Now, here is some free UX advice for Voda, yes, I have worked with you and know most employees have to google UX before shooting it down as unimportant, but UX is important, companies that are good at it have taught consumers to get savvy at lists; they know the standard long vehicle list that in the case of the Land Rover defender, with 70 years of production has possible the longest long list of any car out there... so when you see short list like this one in the above picture, consumers go, "ah, they have made a short list, these must be supported without me needing to click..." Well they are not lol. In hindsight I should have realised, as there is a 2003 defender, which has no relation to when Defenders changed in 1998 and 2007, but anyway, the devices works as much as I need it, sort of, and so am keeping it. well why put it on the list?????????? Relief at last after deciding to go to 2018 models and work backwards I got a similar vehicle to be accepted. This kind of makes a mockery of the selection process, as i you are so choosey and needy of selected cars, then read the car and reject other cars... 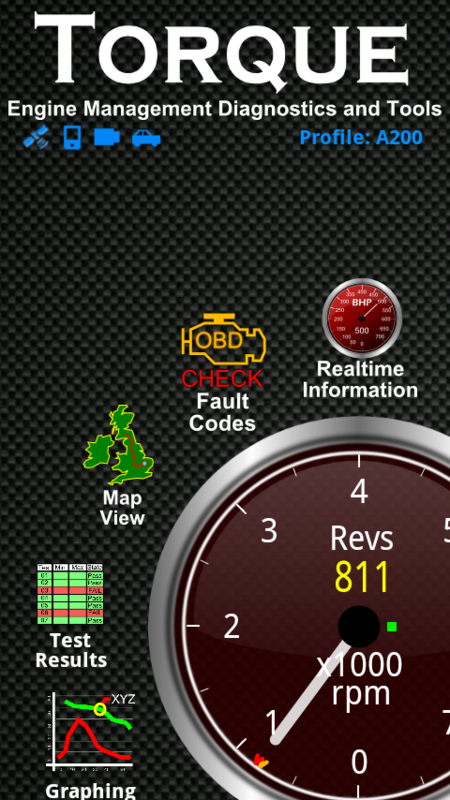 The only issue I see here is that if I am in an accident and the auto-SOS function (which works with an accelerometer, not ODB information, which does not have this capability) then the emergency services will be informed of the wrong vehicle. Luckily Land Rovers have such a strong identity that by saying land rover and the colour I will most likely be spotted anyway, which is the same for many brands. If you do opt for fooling the device, at least chose the same manufacturer, to give you the best chance in the event of an accident. Be patient if the status is still not showing the correct, or any for that matter, location for a few days. One of the few issues with a network provided devices is that it is single network, and coverage will also present issues in this scenario. Vodafone should ideally go multi IMSI or use their roaming hub IMSI in these devices to give a better service. 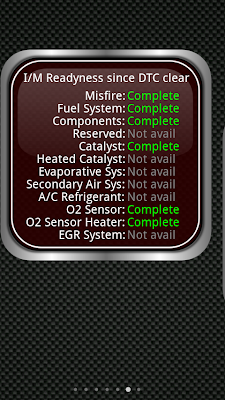 When it finally stopped logging me out, on the move and parked notifications are useful, especially when car is being serviced or if your type of car is a target for thieves. 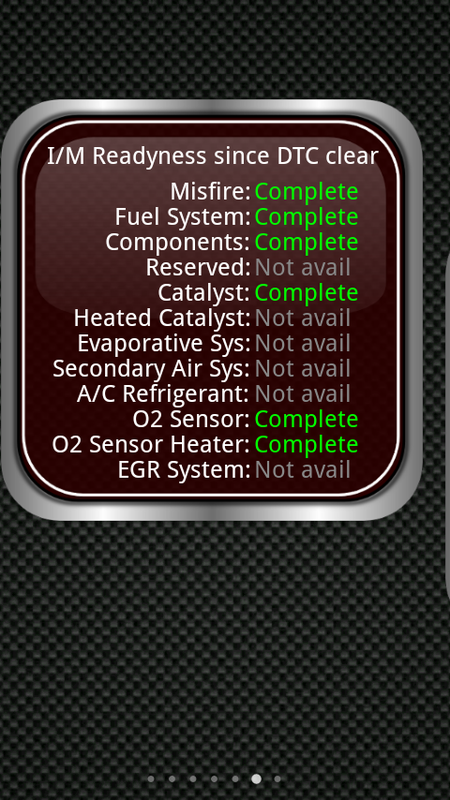 So one of the standards of ODBII allows you to cut fuel to the engine, something I would like to see added irrespective of other issues, and yes I do understand that for safety reasons this should only be done when the car is stationary and not moving, or when the vehicles is moving slower than a certain speed. I would like to see this added, and even be a feature that can be enabled at certain times when you know you will not be driving. After a few days of being in the wrong place I think a fix / work around was issue to "zone to home" as while it does work for home, it really does not work when parked a few miles away and the location keeps reverting to home plus a place on the map a similar distance to the trip it actually made! There seems to be some fix or shortcut for it sometimes getting stuck when at home, which messes up when the car is not! Despite its short comings, the main reason consumers buy IoT is for security and safety, and I have been using this device alongside other trackers that the vehicle has fitted and seen that mostly it works. I cannot really blame myself for lying on the model for these short comings, as location is ultimately down to the network (GPRS / data transmission) of device based info (GPS and Accelerometer info) and not ODBII based info I cannot see why the device is being so fussy over anyway. There is only one thing better than a great app (stop it!) and that's a great app with a great piece of hardware. Whether its just (£100) a Jawbone Up and its related app or a BMW i3 and remote control app the netatmo app and its associated hardware are up there with a great hardware/app UX. 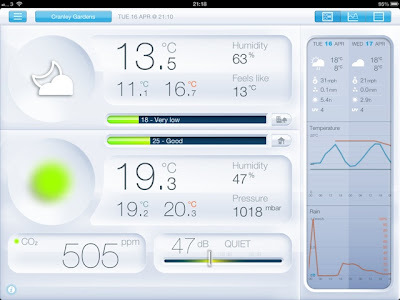 For me especially so as I have worked on a lot of weather apps over time, and am a self confessed "weather head", add this to the fact that I am also British and therefore pre-programmed to like Benny Hill humour and talking about the weather, and so I am as much of the target audience for the Netatmo as you can get! apart from making a living from apps, I am also a hardware freak and love great design and the usually great user experience that comes from this, I am saying all this as to explain what a great experience the Netatmo is from end to end. 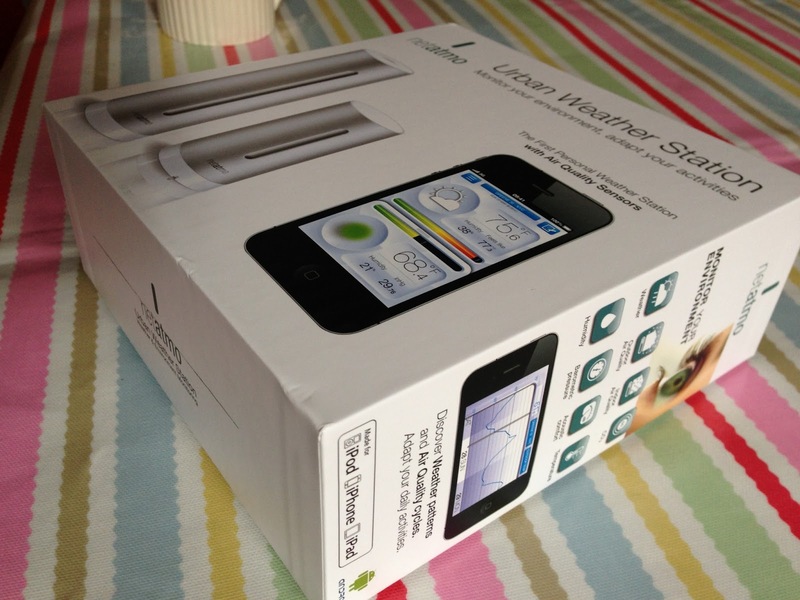 This pretty much continues all the way to realising the possibilities of this device (remote wine cellar humidity, humidor monitoring, basement damp linked to remote controlled dehumidifier...) and the usefulness of accurate weather. Firstly, the product arrives, no fuss, shipped direct from our froggy friends across the channel. And very well presented too. It also comes preparred to be put in the right place, with a handy velcro strap... why on earth many of the others just come with screws is beyond me! So, you've opened it up, could not wait to set-up and that was all very easy... the world is very happy for the control freak, but: Next up - back to the weather station... and a good few gadget freaks ask me, why? what's wrong with all the weather apps out there? Your present weather comes from two places probably anything from a few km to 50km or further away and does not represent where you are if there are significant geographical, demographical or other 'phical disturbances in the way.... At best it represents somewhere near. So when I get up on an average Saturday in the UK, look at one weather app and it says its going to rain at 10am, another at 2pm, its the difference between being able to do your planned event or not. Accurate weather is important to me as I do a lot of sport, and cycling in the rain is pretty miserable, I also try an plan things like picnics, barbecues and other events that rain puts a blanket over. It's safe to say for me its an important factor in quality of life, being able to plan your day and not have to worry about the impact of the weather. Even if its not raining, a run, walk or ride in the wrong clothes is a pain, especially exercise. In my case my weather is derived from a) Westminster, yes Big Ben Westminster, which is 2 miles of city away and on the river (usually up to 2'C out from my weather and a huge variation in humidity) and Heathrow Airport, south west of me, on this island that has a predominant south westerly wind and so its weather is that of a front or other weather "element" that has yet to hit one of the lowest and therefore most expansive dense urban areas there is (London is very low rise and therefore spreads across a huge patch of ground). This again is pre-pollution, pre city weather. usually lower in temperature and humidity is not consistent with where I am and any rain this weather carries usually get's dumped in suburbia before it reaches me. Weather varies even in the same place whether you are in the sun or the shade, and at different times of the day / year this makes a huge difference. 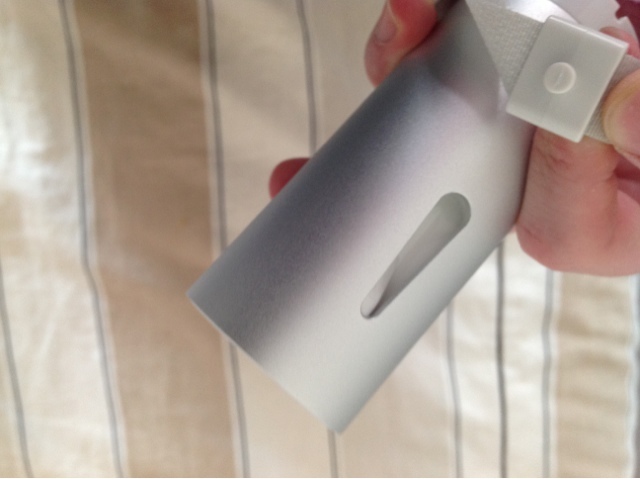 In the summer in the UK, its important to know when its 30'C in the sun (it does happen) but only 20'C in the shade, or worse in winter when it says 15'C, the feels like gives you a clue with a 12'C, but there is nothing like checking the Netatmo in the shade at 9'C to know its colder than it seems... 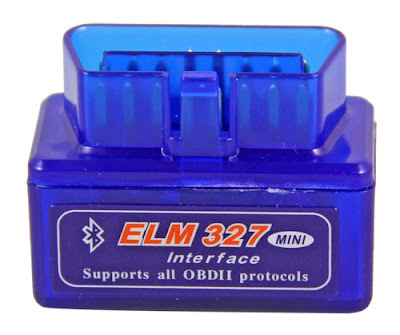 I have tried with Oregon scientific and other alarm clocks / weather stations and they have two problems: 1) they do not seem that accurate, and usually only have temperature with no context, and 2) they are not connected to the internet, and so are, well just dirty. The Netatmo lets you get this right by placing the weather station, complete with barometer, humidity sensor as well as temperature right where you want to know the weather, not some random approximation between two places. So why is all this important. Well, I try and swim, bike and run as well as having other commitments like work and a family and so knowing the exact weather where I live, work and train in real time and/or remotely allows me to do more with my time, which for me increases my quality of life. It also allows me to get the most out of my run or ride without sweating buckets in a top designed for a few degress of temperature and 10% less humidity, because I do not usually have time to change when I sneak a run at lunchtime or before work. Being able to monitor the humidity of things like wine, cigars or other rooms (like a greenhouse, for example) would also increase quality of life for many people. This process triggers exactly zero calls / emails to customer service asking "exactly how/where do I..."
Its still in closed beta, so you will need an invite to play, but from some of the screens you start to get a view of why its not only marketing gold, but also a very interesting trend in mobile gaming (anyone mentions "gamification" now; please leave). Every so often you see a trend in marketing that verges on subliminal marketing, but is, and should remain perfectly legal, but just as effective. Ingress is one of them. On the ingress game you see a series of dots, these are XM (see the Ingress wikipedia entry for explanation) which we believe, are lead to believe or hope is mobile phone activity... android or chrome activity? The concept that android, the chrome browser, Google maps, apps, etc is everywhere is quite a powerful one - much more powerful, visual and direct than the assumption that Google's traffic data for example, requires a solid base of android devices. 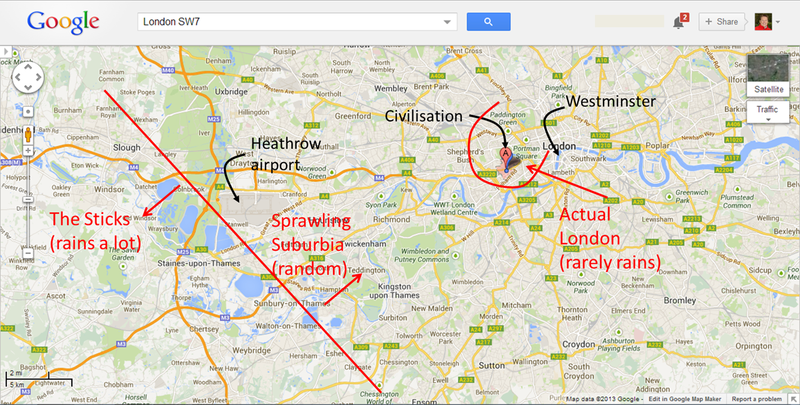 The first perception is that Google is everywhere, and it is now mobile everywhere. The dots are XM; chrome, apps and android users? 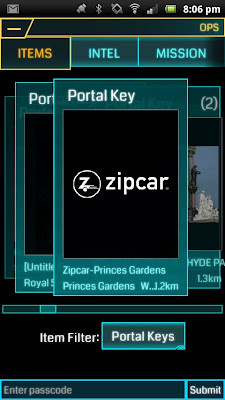 The second level of marketing gold is the fact that people like Zipcar have entered all of their car locations. This now makes me not only aware of how close all my local Zipcars are, but it also asks me to enter the car's details... if the car is available: I now know not only where all my local Zipcars are, but what model and when they tend to be available... unfortunately I am no longer a member of Zipcar as they tried to bill me when my card was stopped, and after 2 years of loyal service decided that sending me a court order was the logical way to inform me of this, and still continued to pursue this despite paying the amount settled... there are some things no amount of marketing can overcome in the social networking age... but were this not the case; it would be good marketing for thee right target audience. 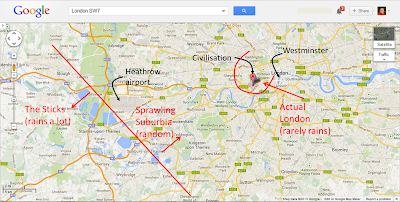 Convenience stores, restaurants, bars, cycle hire schemes (please Google add the London Barclays bicycle hire scheme) and more can be interactive in a way that Foursquare never really managed to get a grip. 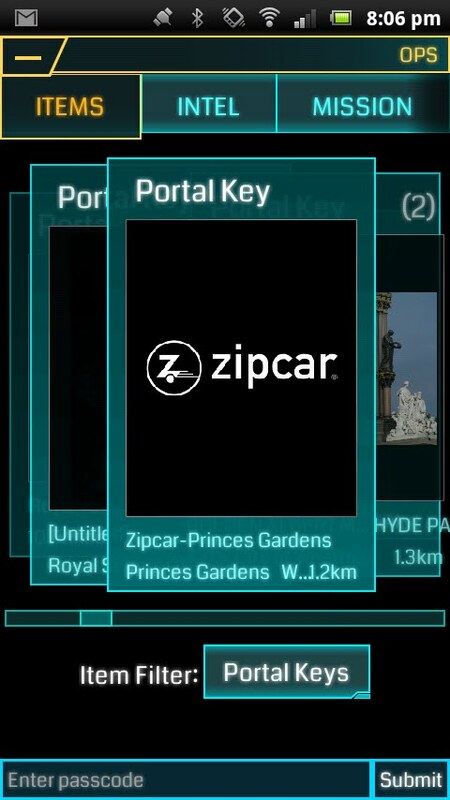 Personally I think Zipcar have missed another trick here, as each location's car should have an image of the car or van in question... doh! One of the types of Ops (PC way of saying weapons or arsenal) is media, which at the moment is just marketing the game but could easily provide a key experiential marketing tool to more points via an experiential video... where you want it, when you want it; do I need to go on??? 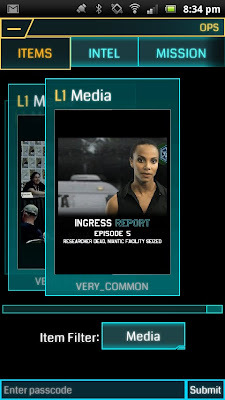 So what is ingress like as a game? On my first outing with my college Keith to show me the ropes (trust me, you need help getting your head round the game) I was in the centre of Reading (yes, I know) and we were approached by some members of the opposite faction who came up and started talking in a very friendly manner. 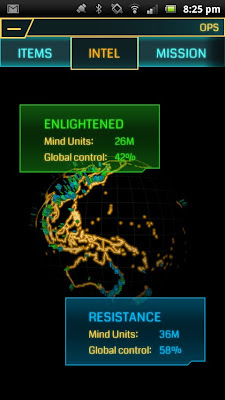 I was quite literally astounded, however this may change.... At this point I should point out that there are (to date) two factions: enlightened and resistance. I remember I am the blue one, as that's what the person who gave me an invite told me to do, and luckily for me I would have done anyway (see the descriptions on wikipedia) if I had to make a choice based on the very serious descriptions of the two factions. ...Ingress seems to get people out an about together, which is a good thing for people, and is a good thing for gaming: while the nintendo wii and its clones may have got us off the lazyboy and waving our arms a bit; in general games have just added to most developed nations' obesity problem - not ingress. 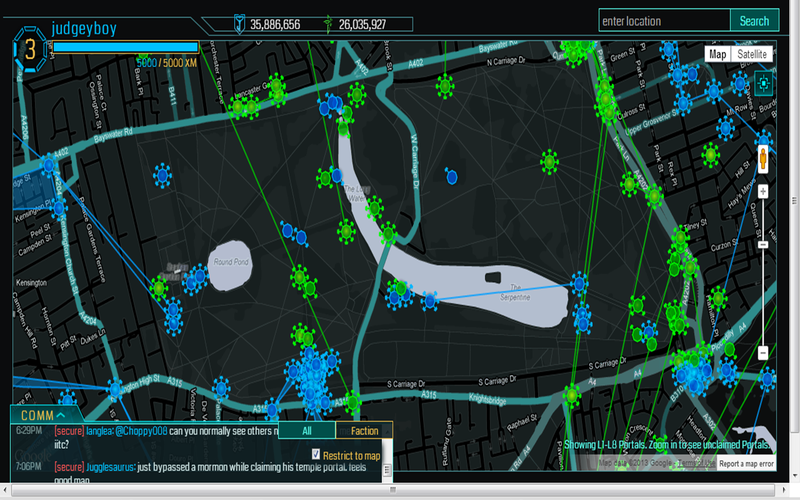 People extend their walk from the tube, go out for a walk in evenings and lunch, and even organise trips to claim portals. 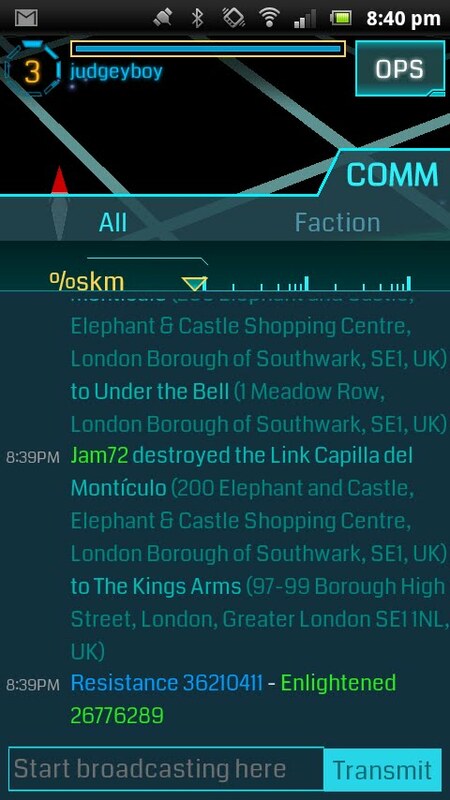 even in the coldest winter we have had in the UK in 20 years... a look at ingress.com/intell will show you how far you can go even in a town centre. 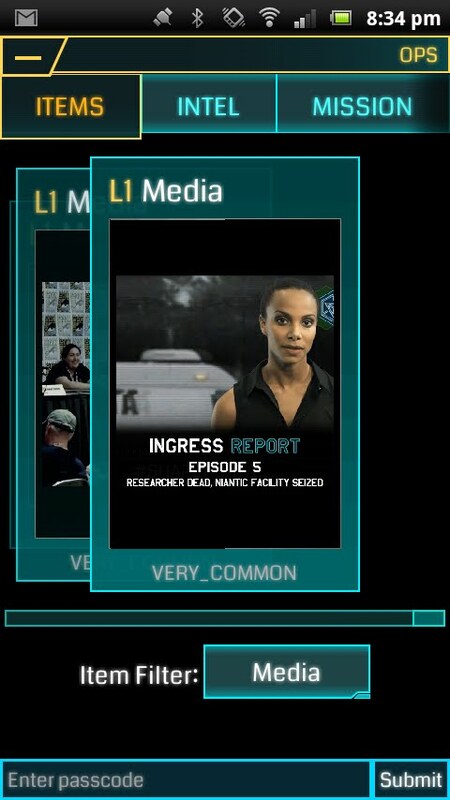 Even as a triathlete (we are nuts and need no excuse to go for a run instead of going for a beer...) Ingress got me doing an extra run to get to level 3. This is an amazing achievement for a game, for a tech company, for a mobile OS provider, and its all still in closed beta! every so often you forget to mute and people think you are a trekkie, or worse, if that is possible? Lifestyle apps do not come more fun than wine apps; while wine can be an exquisite and esoteric affair, there is such a variety and quality of wines available now at all price ranges that, at least here in the UK, where the market is very competitive, and a huge amount of economies of scale in terms of shipping, there is no excuse to not get involved. The social aspect of lifestyle apps is key: we seldom enjoy life's pleasure alone! So I then found Vivino for Android, and Vivino for iPhone, yes, via someone posting on Facebook; just like the world found Doodle Jump, Angry Birds, Foursquare (I sense a trend!) and was instantly hooked, scanned 5 or 6 bottles in my store (I cannot call it a cellar, as, well, it is not a cellar!) of wines and invited others to join. Even more important were two things throughout the experience so far (the weekend); firstly; I did not get the feeling I had to go pro immediately, which I did with Snooth (only to be then slightly disappointed) ; secondly I added a label, could not find it and had to go pro to search the database. This I understand. However a day or so later, I have an update and somebody has manually added my wine to the database - nice! This community sense is key to the mobile app model. 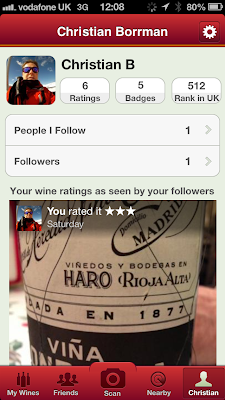 Building a profile is simple with Vivino, unfound bottles get updated by the community! Having my collective virtual "cellar" with notes is quite handy, while to date, searching other people's cellar has been frustrating to annoying (long story, but involved a dodgy merlot...) but then I do only have one friend so far (you know who you are!). not being able to edit some of the wider elements community style, even if after approval; like for example, I have a strong steer to big, bold full bodied wines that lend themselves to red meat, which can be seen above, yet the food pairing recommendation still had the very outdated recommendation of "suited to pork". Just as well I am not a Rioja and Ribera drinking person of 2 certain faiths that do not eat pork! having a list of grapes in the bottle is good, but not having a % is not - the subtle additions of Garnacha, Mazuelo and Graciano to the main Tempranillo base can have a huge impact on how well a Rioja will age and/or be ready for drinking! I think the best way out of this is moderated community additions? I will be upgrading to pro and will update, but in the meantime, these are the next issues that need to be tackled with these apps. Grape % would be useful, at the moment all Spanish wines appear to be paired with pork! When will people learn that creating a community on just one OS does not work! Facebook and twitter check-in is the other key feature that has made Pintererst to Foursquare via Instagram before it was bought (...and did the whole T&Cs debacle). I do not want to create another account on another app! Snooth: another apps that thinks people need yet another login! Another key for Vivino is that it is on Android as well; more and more people have a mixed OS tablet/smartphone mix and even a dual smartphone mix and the market has seen iPhoners switch to Android and vice versa: you need to be on both platforms at least to succeed. Any premium app, especially one at the £2.99 end that has not yet adapted to the iPhone5 screen size six months on almost demands a refund! Social drinking apps on the other hand, could become the next foursquare??? ?